Oasis Outsourcing is a PEO provider that assists businesses with their HR functions, payroll, benefits and risk management needs. 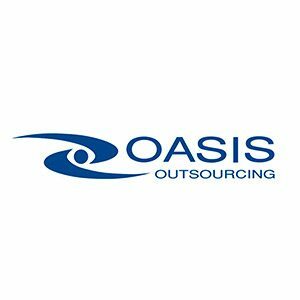 We compiled Oasis Outsourcing reviews from around the web to determine what customers think about the company. For an in-depth comparison of top PEO providers, including Justworks and TriNet, and other co-employers read our buyer’s guide. Users who recommend Oasis Outsourcing liked that there’s no minimum number of employees to take advantage of the basic PEO services of the company such as HR functions and payroll administration. Great customer service was cited as well as intuitive interface of the online platform. Users who left negative reviews said meeting the required number of employees to avail of some specialized and important benefits such as health insurance is inconvenient. While there’s no required number of employees to use Oasis Outsourcing’s basic PEO services, some benefits require a certain headcount depending on which state a company is based in. A user who positively reviewed Oasis Outsourcing on Business News Daily said that what makes the service very attractive to small businesses is its flexibility to accommodate small business of any size – even those with less than five employees, unlike most PEO providers that only accept companies of a certain size. He also said that Oasis Outsourcing provides an extensive number of services which companies can pick and choose from. A user who negatively reviewed Oasis Outsourcing on Business News Daily said that one of the downsides of using the service is its required minimum number of employees to avail the health insurance plan. However, he said that Oasis Outsourcing is willing to work with a health care broker to find a health insurance best fit for the company, something that he found very helpful and admirable. Oasis Outsourcing doesn’t publish its pricing online and employs a customized approach when it comes to pricing as rates depend on the needs of each company. Interested parties need to call Oasis Outsourcing for a free consultation. According to a review, Oasis Outsourcing provides excellent consultation to interested companies. During a consultation, the attending agent on the general hotline asked preliminary questions and transferred the call to a local PEO consultant in the area where the company is located. A local agent immediately did a follow-up call and walked the inquiring party through all the services offered by Oasis Outsourcing and thoroughly answered all their questions giving them a complete and informative overview of their services. The consultant also followed up the call with an email recap that summarized the consultation and provided links to helpful materials to further familiarize potential clients with their services. Not sure if Oasis Outsourcing is the right small business PEO provider for you? Check out our PEO buyer’s guide that compares three top providers. I have received more than 5 sales calls from a representative name Abednego Dahn, even after repeated telling him that I am not currently looking for the services his company provides and telling him that if he called again, my company would be filing criminal harassment charges. The most recent time he called, he stated that my company phone number appeared under several different listings and that is why he was calling again. I have a hard time believing that a presumably smart individual (who confirmed that last time we spoke, that he blacklisted our number) does not remember that a specific person at a specific number threatened to file criminal charges if you called again. I don’t use this company primarily because they have harrassed me so much to take a meeting with them. Competitively priced, but horrible company. Old school, slow and bearcatic business. Their administrative website makes Craig’s list look modern. A DMV experience. We were with them for for 2 years 2months and grew from 35 to 50people while with them. We had an employee diagnosed with cancer while with us. Oasis Gave us a 30 day notice of termination of service one month into our third year with them and just after renewal. We are looking a a law suite because I have trouble believing what they are doing is legal, definitely not ethical. If you are a small business looking for a PEO stay clear! !